This country is always involved in strange things it seems. Remember in the 90's when we shipped all our garment worker jobs to Honduras? Jaime Rosenthal and Gilberto Goldstein, both linked to the Panama Papers, are members of the Honduran elite that have huge economic power in the country. The latest data dump of the Panama Papers has linked two of the richest families in Honduras, both with an ambiguous position on the 2009 U.S.-backed coup that ousted President Manuel Zelaya, to offshore companies set up in tax havens through the Panamanian law firm Mossack Fonseca. Jaime Rosenthal and Gilberto Goldstein are both prominent Honduran business moguls with holdings across media, banks, real estate, food products, and more. Their families are also connected by marriage through Jaime’s nephew Yankel Rosenthal and Gilberto’s daughter. According to Panama Papers data released by the International Consortium of Investigative Journalists (ICIJ), Rosenthal’s only brother Edwin Mayer was the officer of an offshore company in the British Virgin Islands under the name Pinkenton International Corporation. One of Rosenthal’s sons, Cesar Augusto, was the sole shareholder of a Panamanian entity called Renton Management S.A. The Rosenthal family controls Grupo Continental, a conglomerate of dozens of companies including Banco Continental, the newspaper El Tiempo and other media, a crocodile farm for leather exports, and sugar, banana, coffee, and cacao companies, among other businesses. Three Rosenthals, including head of the family, Jaime, were linked to money laundering and drug trafficking last year. Jaime Rosenthal is a key member of the Honduran Liberal Party, the former party of ousted President Manuel Zelaya before he was removed from office, and has reportedly spoken out against the coup. But the Rosenthals may have suffered a breakdown with Zelaya before the coup. Jaime’s son Yani was appointed Minister of the Presidency when Zelaya came to power in 2006. Yani left the post at the end of 2007 to run in the party’s internal elections, but instead joined forces with the political current led by Roberto Micheletti, the Liberal Party figure who headed the coup regime as illegitimate president after Zelaya was ousted in 2009. Goldstein, on the other hand, is a backer of the National Party, which has traditionally traded power with the Liberal Party and returned to Honduras’ top office after the 2009 coup. In the Panama Papers database, Gilberto Goldstein and his deceased son Mark are both listed as shareholders in the British Virgin Islands entity Melston Investment Ltd. According to Honduran researcher Leticia Salomon, both Rosenthal and Goldstein had ambiguous and chameleon-like stances on the 2009 coup. And Hillary is blamed for an assassination of a Honduran eviromentalist. Seeing the Clinton racket in its full glory takes an understanding the recent history in Honduras and how she factors into it. In 2005, the Central American Free Trade Agreement was passed in the United States. CAFTA advanced the aims of the 1994 Bill Clinton-sponsored NAFTA further south into countries like Honduras. 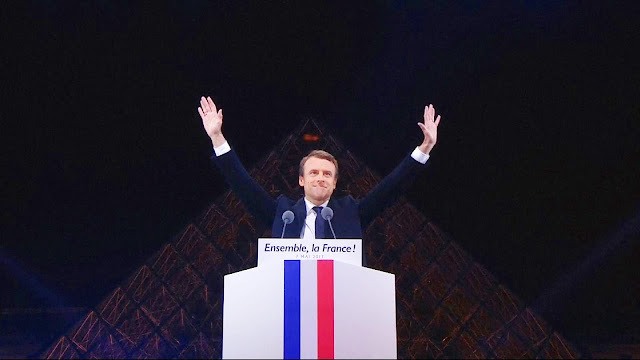 The neo-liberal free trade deal had found a receptive audience among the established economic elite in the country affiliated with long-standing familial oligarchies that controlled finance, trade and industry. Many of the patriarchs in the oligarchy, including Miguel Facusse and Juan Cuanahuati, had been historic and early proponents of free trade in Honduras and headed industries that found fertile grounds to flourish under the model CAFTA promoted, including maquila zones and the attendant “company towns” that were branded as “industrial parks.” These practices were in effect since the mid-1980s in Honduras but were accelerated thanks to CAFTA. The increase of these “parks” caused the rapid proliferation of previously small town areas into more urbanized enclaves particularly in the north as people from the rural areas moved to work in one of the new factories. "the seventh of nine children of Nicholás and María Barjum de Facussé and his family is of Palestinian descent"
The released emails provide a fascinating behind-the-scenes view of how Clinton pursued a contradictory policy of appearing to back the restoration of democracy in Honduras while actually undermining efforts to get Zelaya back into power. Michelle Wolf (born June 21, 1985) is an American comedian and writer. She was a contributor and writer for The Daily Show with Trevor Noah. So if the Pacers win today she might have been carrying the signal. The 1992 Los Angeles riots, also known as the Rodney King riots, the South Central riots, the 1992 Los Angeles civil disturbance, the 1992 Los Angeles civil unrest, and the Battle of Los Angeles. The unrest began in South Central Los Angeles on April 29, after a trial jury acquitted four officers of the Los Angeles Police Department for usage of excessive force in the arrest and beating of Rodney King, which had been videotaped and widely viewed in TV broadcasts. The rioting spread throughout the Los Angeles metropolitan area, as thousands of people rioted over a six-day period following the announcement of the verdict. On the evening of March 3, 1991, Rodney King and two passengers were driving west on the Foothill Freeway (I-210) through the Lake View Terrace neighborhood of Los Angeles. The California Highway Patrol (CHP) attempted to initiate a traffic stop. A high-speed pursuit ensued with speeds estimated at up to 115 mph (185 km/h), along freeways and then through residential neighborhoods. When King stopped, CHP Officer Timothy Singer and CHP Officer Melanie Singer (his wife), arrested him and two occupants of the car. During the riots, on May 1, 1992, King made a television appearance in which he said.. I just want to say – you know – can we all get along? Can we, can we get along? May 1st is Beltane a devil worshipper holiday Kabbalists celebrate. 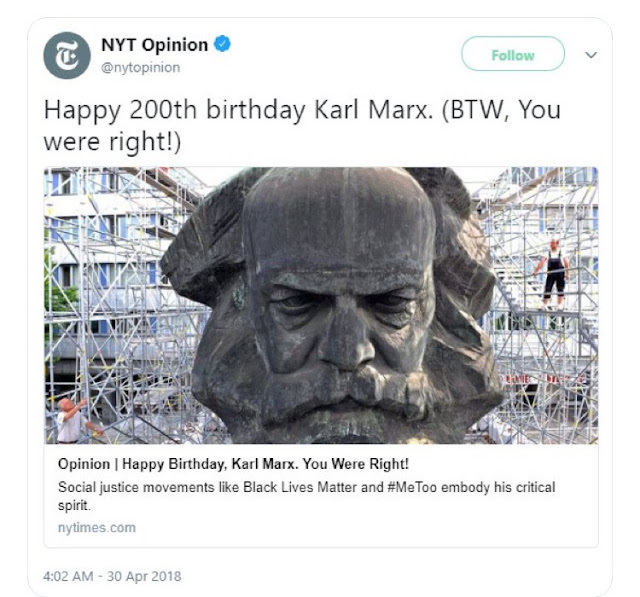 It's also communist day for the same reason! 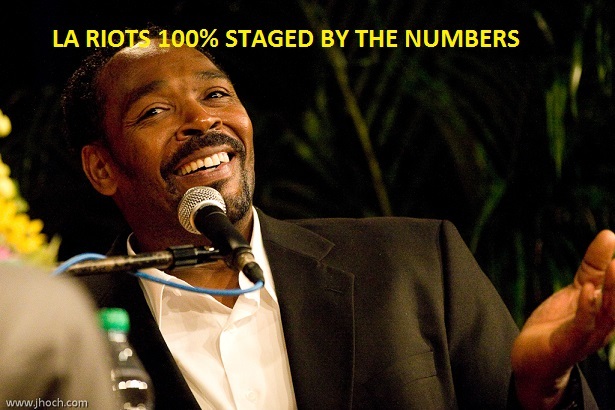 Rodney King was pulled over by the officers Tim and Melanie Singer, husband-and-wife members of the California Highway Patrol. Prince Louis of Cambridge born 23 April 2018) is the third child and second son of Prince William, Duke of Cambridge, and Catherine, Duchess of Cambridge. He is fifth in the line of succession to the British throne. Speaking of royal babies.. The oldest one Prince George of Cambridge's birthday falls on Tisha B'Av this year 7/22 so watch out for a blood sacrifice tribute to the little guy. As for the new one.. I guess this means the Royals are using the Chaldean cipher. Birth and death of William Shakespeare .. Which I think is more proof that Shakesphere was a fake person. 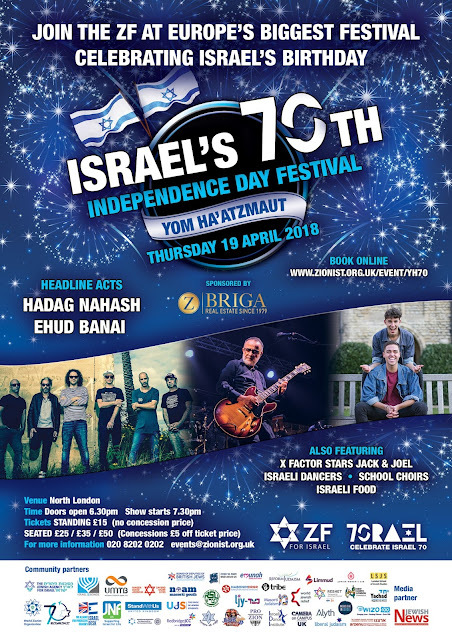 Hawking died 37 days before Israeli Independence Day. 3/14 Pi Day is the 73rd day of the year. 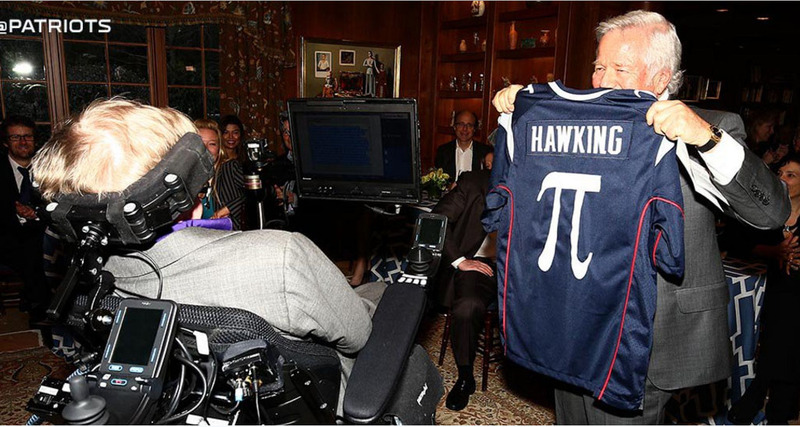 Hawking died on the 139th anniversary of Einstein's birthday. 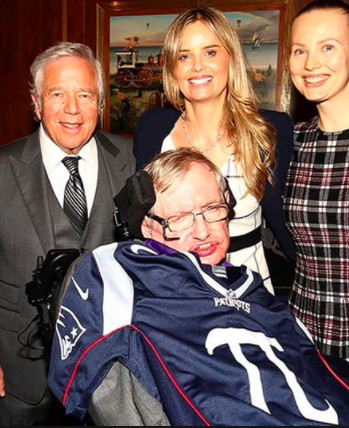 He was given a Patriots Jersey on 4/20/2016 with his death date on it 693 days before he died. Days between founding of Israel and opening of US embassy. Miles between Pyongyang, North Korea and Seoul, South Korea is 121 miles. April 27th is the 117th day of the year. Guess what day the 187 homicide code was enacted? Amazon announced a 20% price increase in its annual Amazon Prime fee, from $99 to $119, beginning May 11 for new customers. Existing customers renewing will begin paying the higher fee in June, the company said on its quarterly earnings call. According to the chart....Most of the cell phones calls during the shooting came from room 1214 building 12..
Room 1214 is where they taught "Holocaust Class"
LOTS of seventies lately! Israel's 70th anniversary. 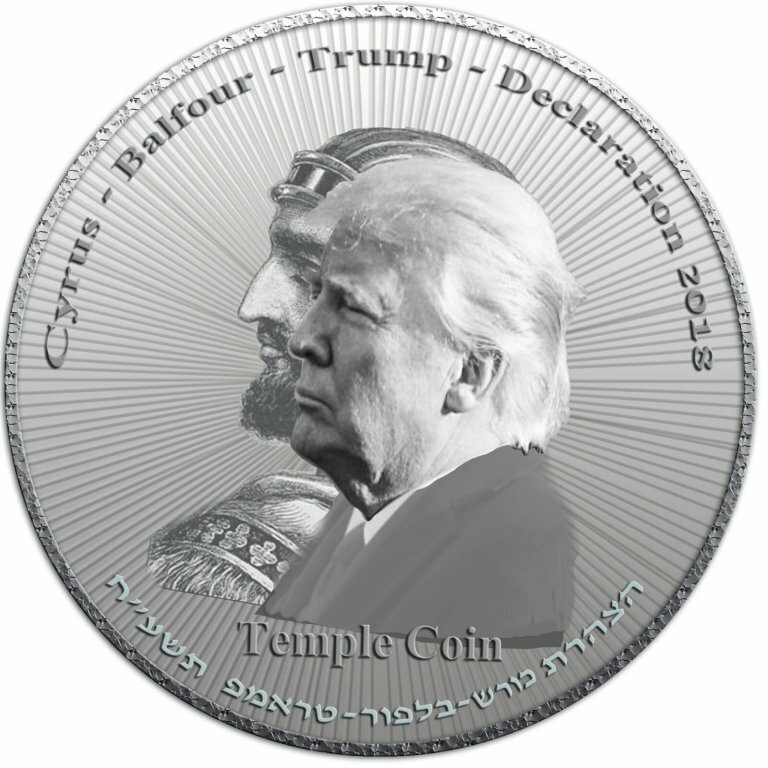 Trump temple coin with Cryus the great who freed the Jews from 70 years of slavery on it. And now the 70th SOS! From 5/14/2017 to Congress speech 4/25/2018 is..
Sabbatai Zevi at the time thought to be the Jewish Messiah was born on Tisha B'Av 1666. His name literally meant the planet Saturn, and in Jewish tradition "The reign of Sabbatai" (The highest planet) was often linked to the advent of the Messiah. 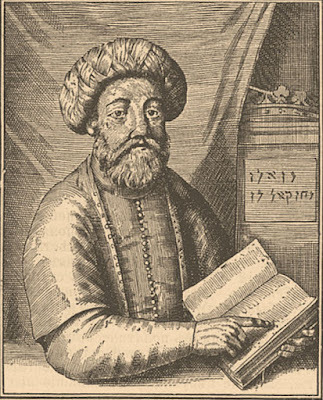 Sabbatai Zevi (Hebrew: שַׁבְּתַי צְבִי‬ (other spellings include Shabbetai Ẓevi, Shabbeṯāy Ṣeḇī, Shabsai Tzvi, and Sabetay Sevi in Turkish) (August 1, 1626 – c. September 17, 1676) was a Sephardic ordained Rabbi, though of Romaniote origin and a kabbalist, active throughout the Ottoman Empire, who claimed to be the long-awaited Jewish Messiah. He was the founder of the Sabbatean movement. Sabbatai Zevi was born in Smyrna, Ottoman Empire (İzmir in present-day Turkey), on supposedly Tisha B'Av (the 9th of Av), 1626, the holy day of mourning. His name literally meant the planet Saturn, and in Jewish tradition "The reign of Sabbatai" (The highest planet) was often linked to the advent of the Messiah. Zevi's family were Romaniotes from Patras in present-day Greece; his father, Mordecai, was a poultry dealer in the Morea. During the war between Turkey and Venice, Smyrna became the center of Levantine trade. Mordecai became the Smyrna agent of an English trading house and managed to achieve some wealth in this role. In accordance with the prevailing Jewish custom of the time, Sabbatai's father had him study the Talmud. He attended a yeshiva under the rabbi of Smyrna, Joseph Escapa. Studies in halakha (Jewish law) did not appeal to him, but apparently Zevi did attain proficiency in the Talmud. On the other hand, he was fascinated by mysticism and the Kabbalah, as influenced by Rabbi Isaac Luria. He found the practical kabbalah – with its asceticism, through which its devotees claimed to be able to communicate with God and the angels, to predict the future and to perform all sorts of miracles – especially appealing. Thessaloniki also familiarly known as Thessalonica, Salonica, or Salonika is the second-largest city in Greece. Salonica had the biggest Freemason lodge in the world. The city was founded around 315 BC by the King Cassander of Macedon, on or near the site of the ancient town of Therma and 26 other local villages. He named it after his wife Thessalonike, a half-sister of Alexander the Great and princess of Macedonia as daughter of Philip II. In 1342,the city saw the rise of the Commune of the Zealots, an anti-aristocratic party formed of sailors and the poor, which is nowadays described as social-revolutionary. The city was practically independent of the rest of the Empire, as it had its own government, a form of republic. The zealot movement was overthrown in 1350 and the city was reunited with the rest of the Empire. Genocide Remembrance Day is a time for reflecting on the Armenian genocide and remembering those who lost their lives during it. The day of commemoration has been held since the 1920s, and April 24 was chosen because it was on that date in 1915 when the genocide began. 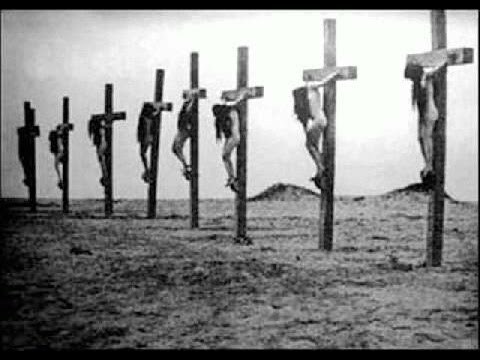 Today is Armenian Genocide Remembrance Day! It was reinaugurated in 324 AD from ancient Byzantium as the new capital of the Roman Empire by Emperor Constantine the Great, after whom it was named, and dedicated on 11 May 330 AD. Byzantium or Byzantion was an ancient Greek colony in early antiquity that later became Constantinople, and later Istanbul. Byzantium was colonized by the Greeks from Megara in c. 657 BC. Erebuni Fortress, also known as Arin Berd meaning the "Fortress of Blood"), is an Urartian fortified city, located in Yerevan, Armenia founded in 782 B.C. Urartu known as Kingdom of Van (Urartian: Biai, Biainili; Assyrian: māt Urarṭu; Babylonian: Urashtu; was an Iron Age kingdom centred on Lake Van in the Armenian Highlands. It corresponds to the biblical Kingdom of Ararat. Toronto police arrested a driver after a white van struck a number of pedestrians Monday in the Yonge Street and Finch Avenue area. Police were initially called to Yonge and Finch for a report of a collision at 1:27 p.m. The van, which was said to have mounted the curb and hit the pedestrians on the sidewalk, was stopped by police, Const. Jenifferjit Sidhu told CBC Toronto. A gathering of G7 foreign and security ministers got underway in Toronto on a slightly informal note with Foreign Affairs Minister Chrystia Freeland inviting her counterparts to her home for Sunday brunch. 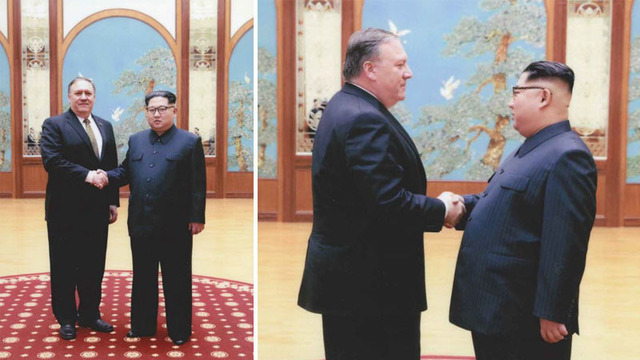 It was a light, relaxed affair — unlike the heavy agenda the ministers face over the next couple of days in mostly closed-door meetings at the University of Toronto. Russia and the ongoing war in eastern Ukraine dominated the working lunch later on Sunday. It was followed by an early afternoon session on Syria, Iraq, Iran and the Palestinian conflict. Security ministers from each of the seven major Western industrialized nations will join Canada's foreign minister for joint sessions on Monday, where they will talk cyber threats and countering violent extremism. G7 foreign ministers' summit in Toronto ends up to be all about Russia Russia Russia! 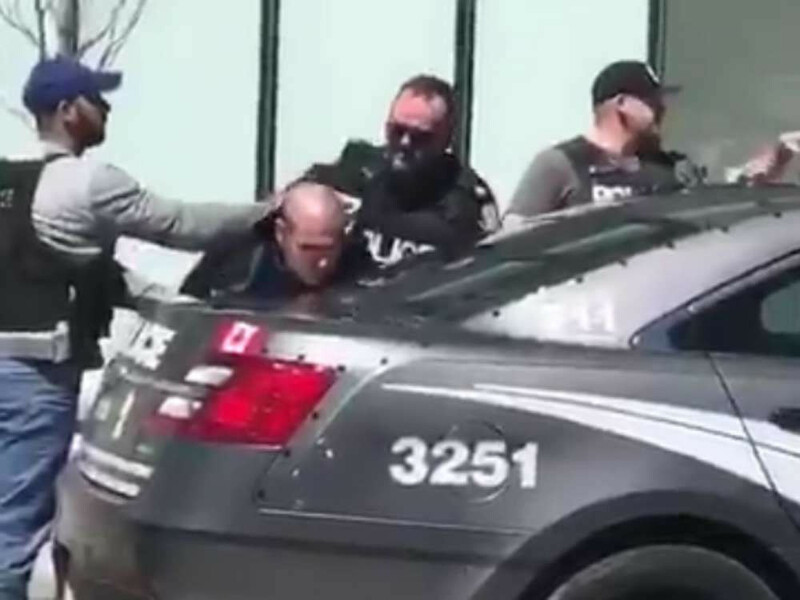 Picture of the car attacker in Toronto being arrested. The cop car has the number 3251 on it.